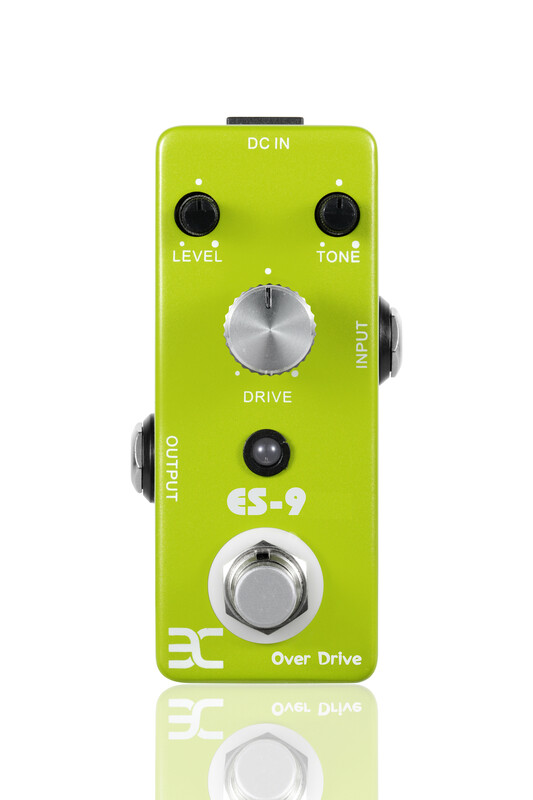 ES-9 Overdrive Eighties Screamer Classic overdrive sound Sturdy metal construction 9V adaptor only (due to its size there are no room for battery) Three controllers (Tone, Drive and Level) True bypass 9×3,5×3,5cm ES-9 brings that classic tube amp sound in a very small package. 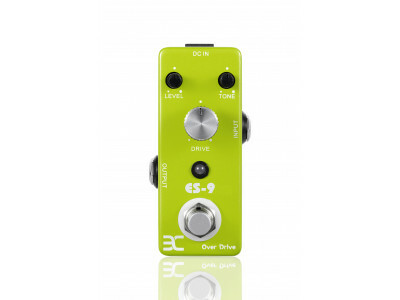 Aimed for guitarists who wants just a little drive to their sound or just to boost the signal for that perfect solo. It runs on 9V-adaptor only (not included) since the size won’t allow any place for batteries. The construction is very sturdy and durable.